You’ve got Voldemort, Snow, Kronos, this whole line of evil villains hellbent on doing something incredibly evil, or the driving force behind the hero’s pain. They stand as the opposite of everything our hero believes in, a dark shadow in their world. We hate them. It’s only natural. Sure, there are villains out there we just despise with ever fiber of our being (think Umbridge, the witch. ), but honestly? I rather like villains. Villains carry so much weight in the story. They are one of the many pillars a good story stands on, and if you make them weak, the whole book goes crashing down. Who wants to read a book where the villain is essentially a wallflower who cowers behind a curtain? Villains can also add so many layers to the story. They help provide the conflict, serving as the Big Bad whom the hero must destroy. They challenge our hero every step of the way, helping him grow and change from start to finish. Sometimes the villain isn’t always 100% bad, and that adds the question: is he really the bad guy? Should our hero really be going against him? There also wouldn’t be much of a story without a villain, an antagonist blocking our hero from their dreams. Why bother read a story where you know the hero’s going to win with nothing in his path to stop them? When a villain throws the hero in a bit of a loop, making his path a twisty-turny one instead of a simple line from Point A to Point B, it keeps the anticipation high because who knows what’ll happen next. I know some people just don’t like villains, but I personally enjoy them. Some of them just have that charm that allows them to plant themselves in our hearts, and others are just so damn fun to hate, satisfaction flooding you when they get the sticking they deserve. Villains, heroes, sidekicks, flunkies. They all bring balance to a story. Without them, there wouldn’t be a story. What do you guys think about villains? Love them? Hate them? Don’t care for ’em? What are some of your favourite villains to love and your favourite villains to hate? I looove villians!!! They’re so fascinating and there’s always a reason that they ended up the way they are. I would love more stories from villains POVs (like Fairest) because evil characters are funny and sassy and I love it! Villains are interesting because they’re usually multi-dimensional. As my English teacher would say, they are character onions: they have several layers to peel back behind their initial impressions and appearance. There is usually (or ought to be) a reason behind why a villain is evil- some backstory that shapes there character to be who they are today. Sometimes the enemies are just incredibly cold-blooded, evil, and undeserving of any compassion because they are so evil (*cough* Umbridge *cough*). Others, though, usually have some reason why they turned out that way (tragic backstory, crushed aspirations, etc.) or they are incredibly power-hungry and want to rule the world (which can be interesting too). It’s hard to say exactly whether I love or hate villains. I mean, they are the villains. I think we’re supposed to hate them. But on the other hand, while I can’t really feel compassion for them anymore (I mean look at Umbridge. Seriously.) Like with Voldemort- I loved learning about his backstory and seeing Harry defeat him, and although Harry can find the strength to feel bad for Voldermort, it’s difficult for me to. It’s hard to think about for me, really. Awesome discussion! I LOVE THIS POST!!!!! It’s not a secret that I love villains. To me, they are one of the most complex and beautiful characters you can ever find in a story! 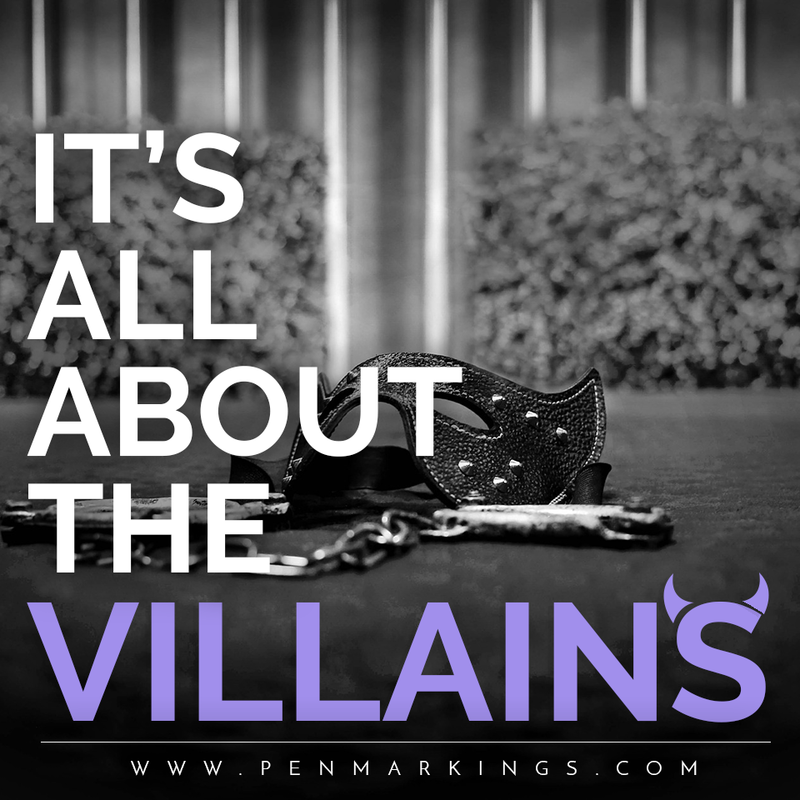 A villain is as important – or sometimes more than – the hero to me. Awesome post, Claudia! I am actually a huge fan of villains!! I may not always root for them or like them, but I have a huge appreciation for them. Since, you know, they’re villains. And they’re evil, but they’re kind of the driving force behind the plot. Without them, there wouldn’t really be a story.